Fabrizio: one of the elders of the team covering the night shift. Hardworking :) He speaks Italian and English. Andrea the boss :) : manager-catch-me-if-you-can, one moment can be found working in the breakfast room, another one at the reception, sometimes hidden in the office trying to lead the hotel. He speaks fluently Italian, English, French and a little bit of Spanish. 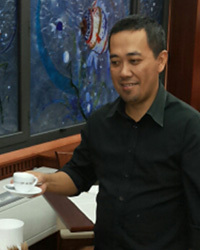 Lorenzo: originally from Philippines, he is now a pillar of our team and in charge of the breakfast service and some minor maintenance work as well as the bar in the evening. He welcomes the customers at the breakfast room and surprises them with some delicacies prepared by him with great attention to the meals for youngest ones. Lorenzo, is accompanied in his service by two young nephews: Christian and Lerma, who recently joind us for their first work experience, right after leaving the hospitality institute. They all speak Italian and English. Angela: sister of Donatella, is the daughter of the historic Hotel La Pace employee from the times of Romanelli greatgrandfather. She is responsible for the 4th and 5th floor. 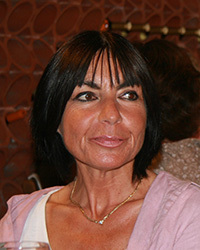 Donatella: sister of Angela, is working with us more than 15 years. She is responsible for the 2° and 3° floor. Elena: originally Romanian, is working with us for 9 years and has integrated very well with colleagues. 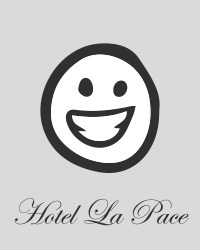 Always polite and smiling, she is responsible for the 7th floor and family rooms. Luisa: working with us for 15 years, she's in charge of 6° floor. Mauro: if a customer has a problem of hydraulic nature, or with electricity, TV doesn’t work, the decoder has tantrums, the hair dryer wants to burn your hair...there is always his and ONLY his fault, fault of our Mauro. Tireless man of confidence. 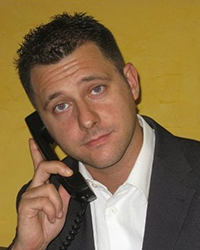 Alfonso: from Salerno "with enthusiasm"! A recent graduate in Tourism Science, he has also a Masters Degree in Hotel and Tourism Management so we have not allowed him to escape. You will be captivated by his smile and willingness. Giacomo: the new head of functions, he is also responsible for The Reception. 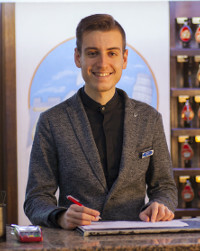 He worked for some years outside of Italy and has been with us since 2015. 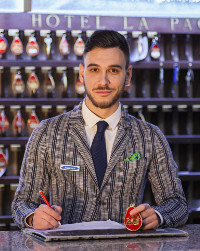 Francesco: is the son of two historic Pisan hotel owners. 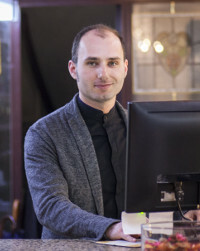 He was born into and grew up in the Hospitality world. A diehard Milan football fan always arguing with Alfonso who instead is a fan of Juventus.